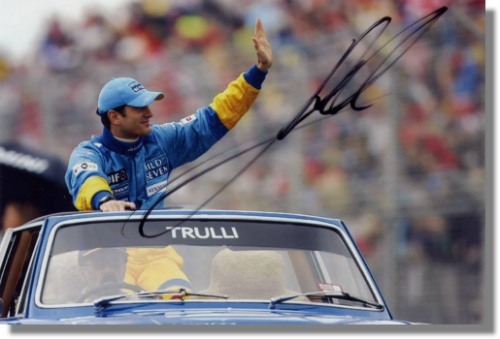 Jarno Trulli signed Driver Parade photo. This is a great shot of Jarno during the driver parade at a Grand Prix. The photo has been personally autographed by Jarno with a black marker.